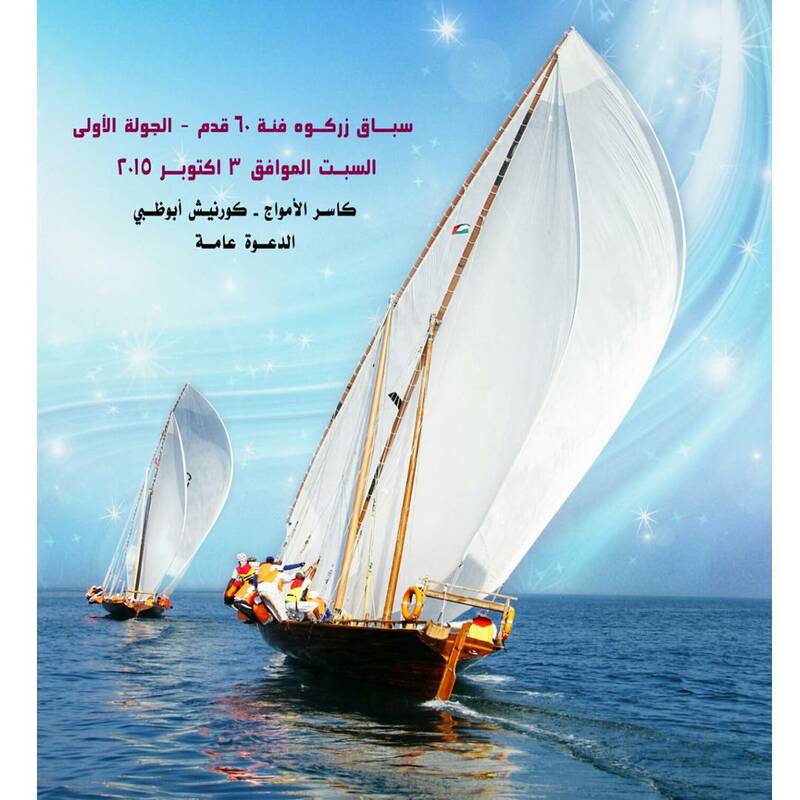 Abu Dhabi Sailing & Yacht Club organize Zarkoh Dhow sailing race 60ft – first Round on Saturday 3 October, 2015. Our Club invites all competitors to register for the race by coming to our club. Also, the club invites all lover of Dhow sailing to follow & join our competition near the breakwater. The largest of the Dhows is the 60ft class. Keeping in tradition the boats closely resemble the Dhows used for pearl diving and fishing in the olden days. Again due to safety reasons, the rigging is made of modern materials, and the 60ft class dhows are rigged with two masts and sails. This makes the boats more technical and requires more skill from the skipper the master the dhow in the waves and the wind. The Championship for the penultimate class of dhows is competed over 3 races. Throughout the year the Abu Dhabi Sailing & Yacht Club organizes long distance races for these dhows. The class will have up to 80 boats on the start line. The dhows lay on anchor at the start, the crew ready to race. Once the signal is given, it is truly a magnificent sight to the fleet raise their sails and race the 15 Nautical Miles back to Abu Dhabi.